Adam “Loop” Bahriz is a Pro CS:GO disabled streamer, who often was bullied and trolled for who he was. All he wanted was to receive the same treatment as other players. 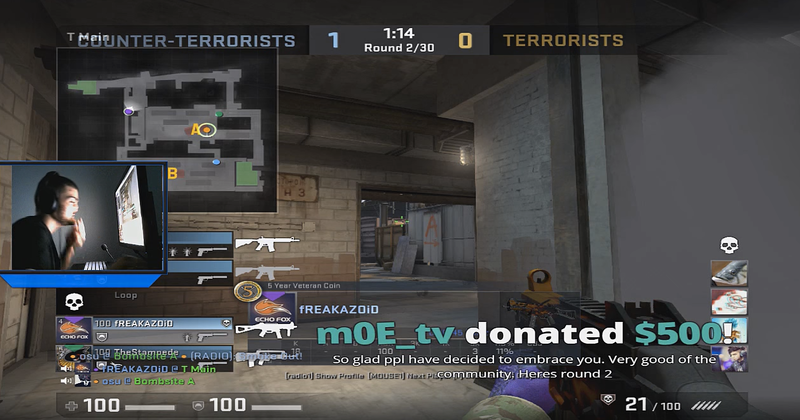 From the stream, you can see “Loop” doing his roles and duties within a CS:GO match on de_cache. When he started to make calls during a match, the bullies hiding behind their keyboards decided to voice there opinion. They did not like the sound of Loop’s voice. Despite the treatment he had received, Loop apologised saying “Sorry” he will not talk on the mic but was then shortly voted to be kicked off for “no comms”. You can see this all pan out below in the stream. You now catch up with Loop on his stream and on Twitter. Ask me anything, about my disease, CS, life, sports, ESEA situation, etc! Loop’s experience has shown us that the gaming community is an inclusive one and that there’s a willingness to right unintentional wrongs. As gamers, let’s continue being competitive and passionate in our online matches whether CS:GO or any other game. But let’s also remember to continue being supportive and understanding of each other. A very passionate gamer who grew up in Sydney. A father with a wife and two kids. Professionally, an IT engineer with over 10 years experience. I like web design, cars, and adrenaline sports. I am especially interested in eSports. My vision is for professional gaming to one day be accepted and recognised as a highly respected profession. Let's make it happen!